Federal authorities seized about 450 kilos of cocaine at the Port of Philadelphia on Tuesday for a record drug bust for the port, according to reports. 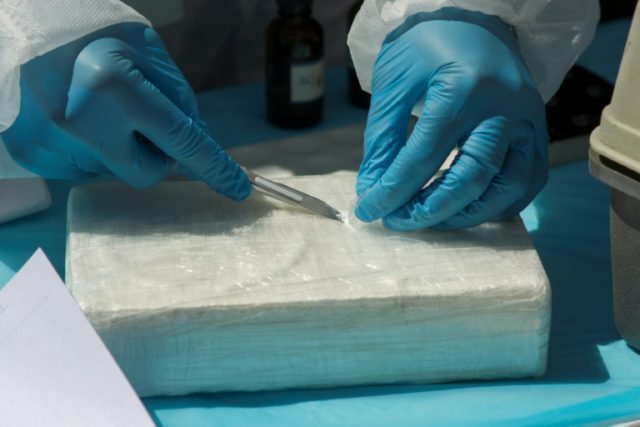 Dozens of duffel bags stuff with the illegal drug were discovered in a cargo container which originated in Colombia found aboard the MSC Desiree, ABC News reported. Port authorities decided to check the container after noticing that the security bolts on the container’s door had been tampered with, an insider said. “The total amount of cocaine, approximately 992 pounds, has a street value of about $18 million, and is the most ever seized in Philadelphia, according to the source,” ABC reported. An even bigger bust occurred at the Port of New York last week where $77 million worth of cocaine was intercepted. Federal authorities in New York reported that 3,200 pounds of the drug were found in another cargo container. That container also originated in Colombia and was similarly discovered due to irregularities in the security locks on the container door. The renewed scrutiny on containers emanating from Columbia comes on the heels of the South American country’s decision to cease its policy of eradicating coca plants.